Fall has arrived here in NY. Our weather is getting cooler by the day and the days are getting shorter. I love the fall season for all its comforts. One of my favorite little comforts of fall is the return of my nightly cup of tea. Doesn’t seem like such a big deal, but to me, it’s a great way to wind down the day. I usually like a little sweet treat to go along with my tea and have found a new favorite to add to my shopping list – two new flavors of cookies from the Dr. Lucy’s healthy food brand. 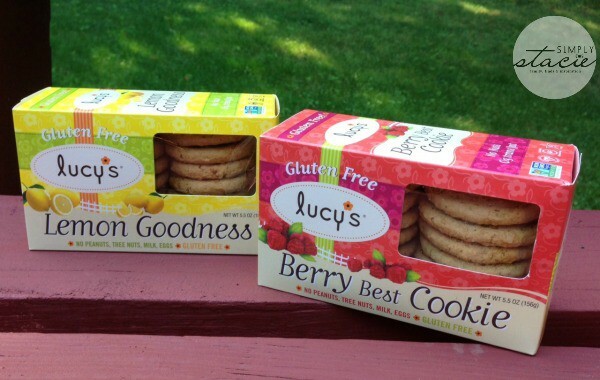 I received two boxes of absolutely scrumptious cookies from Dr. Lucy’s – Lemon Goodness and Berry Best Cookies. These cookies smell as good as they taste. The Lemon Goodness flavor has a wonderful citrus tang and the Berry Best cookies are crunchy and fruity. They are wonderful cookies to snack on (only 40 calories a cookie! ), whether it’s with your late night cup of tea or with friends over a cup of coffee. Beyond great taste, these cookies are Non-GMO Project Certified, Vegan, Gluten Free, and Kosher Certified, so you can feel good about reaching for these as a snack for yourself or your family. These cookies are available online as well as at Whole Foods and have an MSRP of $4.99 – $5.49. The story behind the Dr. Lucy brand products started when Dr. Lucy Gibney discovered her child had severe food allergies. She decided to create her own recipes for her child. Those recipes for her child have today developed into a delicious alternative for people with or without special dietary considerations. 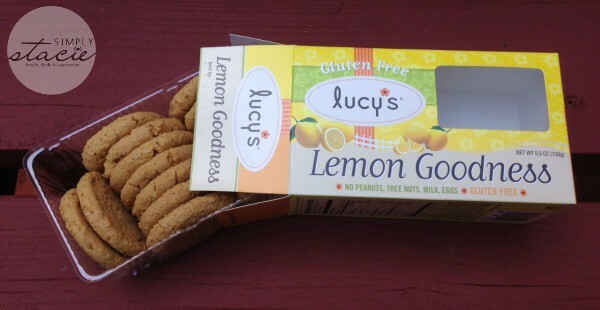 Lucy’s cookies are gluten free and made without milk, eggs, peanuts, or tree nuts such as almonds and hazelnuts, so they’re very allergy-friendly. Check out their store locator to find out where you can find Dr. Lucy’s products near you. To see all the yummy flavors of treats of Dr. Lucy has to offer, check out her website. I’m excited to try the new seasonal flavors coming soon! The Holiday Sugars sound good.